Ally is professional and responsive with any inquiries we had. She helped us find a place that met all of our expectations in a new home. She is organized and on time. Thank you Ally for your high quality service. Ally did a phenomenal job selling my home. She took over all the communications with my tenants so I didn’t have to try and juggle coordinating showings while I was at work. 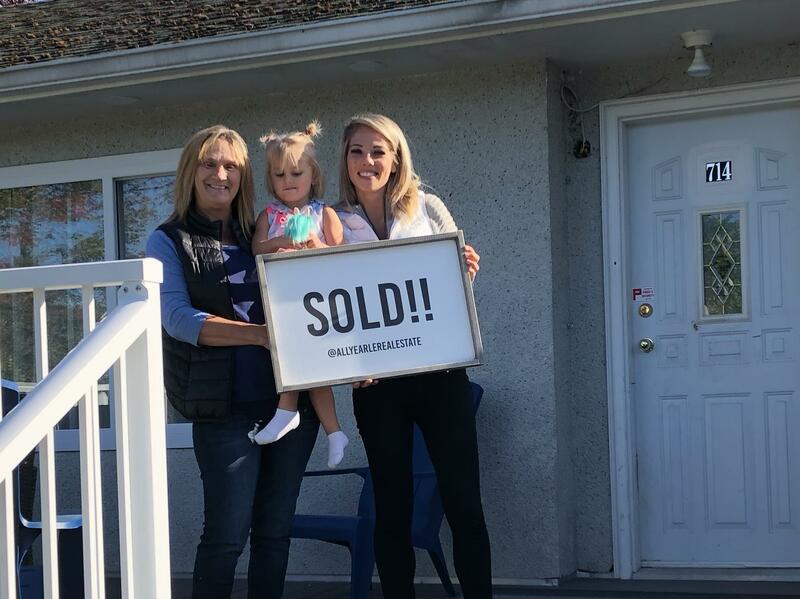 I had an accepted offer within 7 days of listing and Ally made the whole process completely painless. I never had to ask her to get anything done or follow up with anything as she always let me know what was happening and where everything was at. Highly recommend Ally for buying or selling! in the future. Thanks for everything Ally!! We would heartily recommend Sandy to anyone who is in need of a realtor! We found Sandy a wonderful realtor to work with; as she was always encouraging and hard-working. We deeply appreciated her willingness to go the extra mile for us and that she would always get back to us promptly whenever we had a question and was willing to help iron out any difficulties. Thank you, Sandy for all your help! It was a pleasure to work with Ally. She is a hard worker. 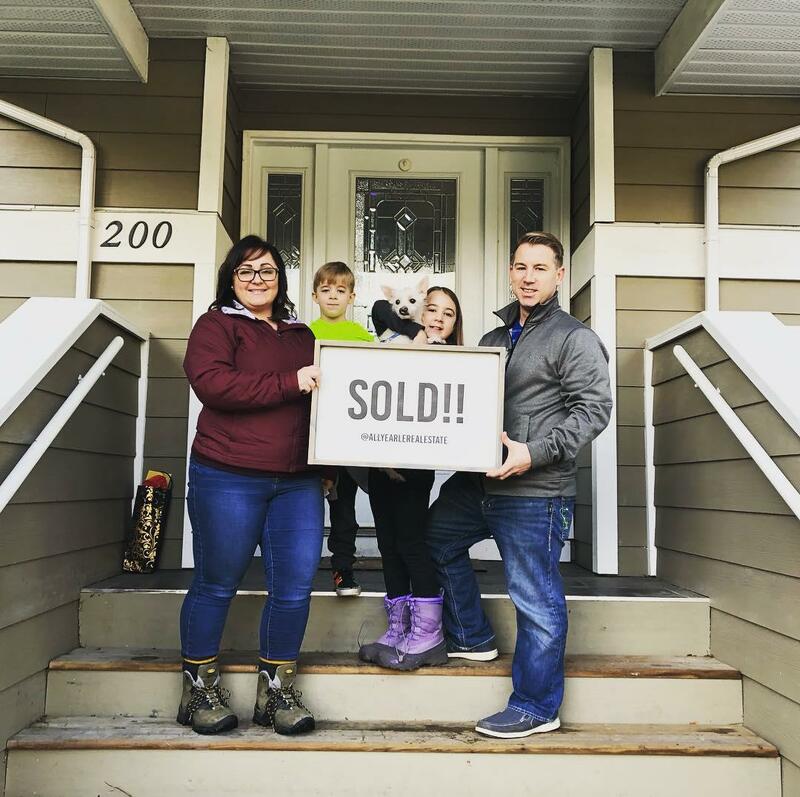 Ally quickly had the answers to any question or request that were put to us to complete the sale of our house. I really appreciated the quick responses. I highly recommend this realtor. Beautiful assistance from a great Realtor. By far the easiest purchase of property we have had! 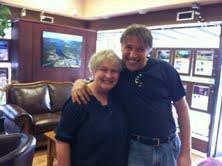 Our experience of buying through Remax Lake Cowichan was by far the easiest purchase of property we have had. The office staff were courteous, helpful, and knowledgeable in all aspects of real estate. Nothing we needed to know was ever too much for these friendly people. It felt like home right away. We highly recommend Remax Lake Cowichan for any real-estate dealings and are pleased with the experience we had through them. Pat Duringer made us comfortable from the day we met her. Pat efficiently researched all possibilities to meet our needs, sent us the details immediately then arranged for viewings at our convenience. When Pat took us to possible sites, she pointed out the features, then waited patiently while we viewed and made a decision without pressuring us to buy or rush on to another place. Pat's knowledge came through all stages of the buying process, paper work and we were represented expertly. 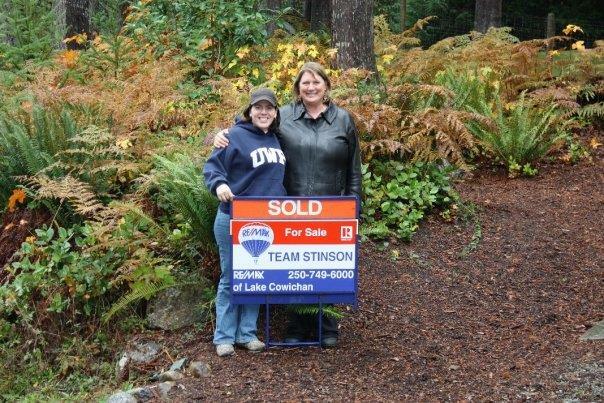 We value her expertise as a realtor and a great ambassador for Lake Cowichan. Sandy helped make our family's home-shopping experience fun and is a great representative for the community. Sandy with first-time homebuyer and new Mesachie Lake resident, Chantale.